I’m building a nostalgic DOS tower as a long-term project, but finding a small, two-tone beige keyboard for it is painful. Every keyboard manufaturer uses horrible black parts now, and customisable ones still use a black bezel. Topre Realforce, which are expensive, only recently ended production, and aren’t compatible with PS/2 adaptors. Unicomp Ultra Classic. I love the buckling springs, but my desk space is too limited for the extra numeric keypad. 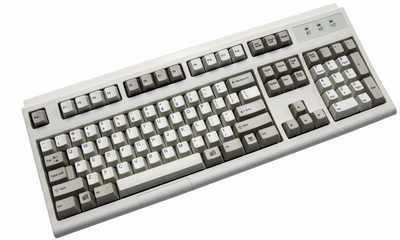 If anyone out there knows of a small, two-tone mechanical beige keyboard, let me know!